Improve the security, architecture and user experience of your digital services with AuthMachine, in days - not weeks or months. AuthMachine is a modern Identity & Access (IAM) digital platform that provides unrivalled security, speed of implementation, ease-of-use, features, scalability and value. AuthMachine can be operated on-premise or in the cloud and delivers hassle-free IAM, empowering your organisation to focus on delivering digital services. 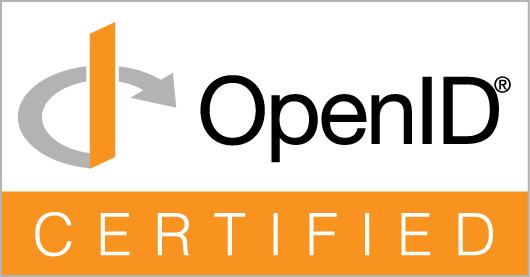 AuthMachine supports a variety of open standards and is certified for all six OpenID Connect profiles. AuthMachine is as effortless and fast to setup as an IAM SaaS solution, however you are in control. AuthMachine is delivered as a Docker-based appliance that you host in the cloud or in your own data centre, takes minutes to setup and provides excellent value. We created AuthMachine because being in control of IAM is super important, and in general IAM is too important to be too difficult or too expensive to get right - which has been the case for decades. Ensure that only the right users can access the right digital resources at the right times and for the right reasons. Increase conversion on your ecommerce site when users forget their passwords and send a one-time login code instead of doing the "fogotten password dance"
A secure logged-in area where users can administer their account. Able to be branded and extended by you. AuthMachine is a certified identity provider (IdP) for all six OpenID Connect profiles - an identity layer on top of the OAuth 2.0 protocol. Configure AuthMachine as a SAML2 as an identity provider (IdP) to realise SSO with G-Suite and other enterprise offerings. See which types of Identity & Access events are occuring when and in which volumes, which types of devices are being used etc. Excellent value for business and enterprise customers. Education providers receive a 30% discount with annual payment on the High Volume plan. Thanks! Your question has been submitted. AuthMachine is a modern IAM digital platform that provides unrivalled security, speed of implementation, ease-of-use, features, scalability and value. © 2019 AuthMachine. All Rights Reserved.